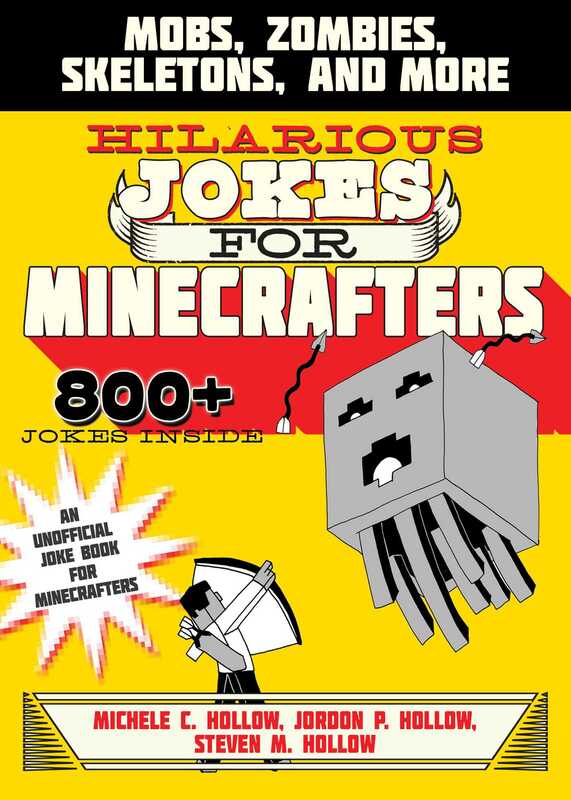 Hilarious Jokes for Minecrafters is the second book in the Jokes for Minecrafters series, which boasts more than eight hundred jokes. The jokes inside poke fun at everything Minecraft from ghasts to Endermen. All of your favorite parts of the Minecraft game are included in the book, and the jokes will make you giggle like you’ve never giggled before! Why don’t they have knock-knock jokes in Minecraft? Because hostile mobs don’t knock on your doorthey blow it up! What do you get when you cross an Enderman with a creeper? For kids ages five and up, this is the perfect book for at home, at school, or really anywhere! You’ll enjoy telling these silly jokes to your friends and family. As a bonus there are silly illustrations throughout for extra laughs!